It's Nebraska's season opener, 2.0. 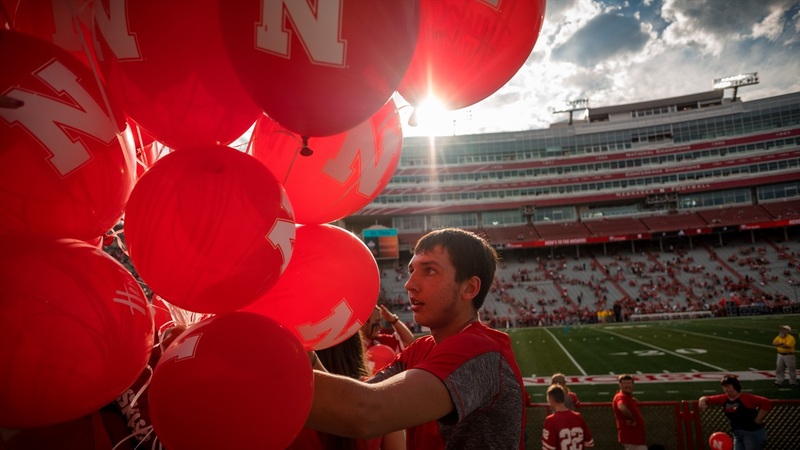 After the Huskers' original season opener with Akron was canceled due to severe weather, coach Scott Frost and his team will get a second attempt Saturday against Colorado. Nebraska and Colorado are familiar foes. The two programs were conference rivals for more than 60 years, spanning the Big Seven, Big Eight and Big 12 Conference. Both the Huskers and Buffs departed the Big 12 before the 2011 season, with Nebraska going to the Big Ten and Colorado going to the Pac-12. Saturday's matchup is the first of four between the two programs between 2018 and 2024. Radio: Huskers fans can listen to the Nebraska-Colorado game on IMG Husker Sports Network, as well as on Sirius Channel 105 and XM 195. Internet radio will be available at Huskers.com. Weather: Cloudy skies early will become partly cloudy later in the day. High 72 degrees. Winds NE at 10 to 15 mph. While Nebraska has film on Colorado, the Buffs don't have any recent film on the Huskers. Nebraska's Week 1 matchup with Akron was canceled due to severe weather. Despite the canceled game, the Huskers regrouped and are "ready as can be" for Colorado according to Frost. Colorado comes into the matchup 1-0 after a 45-13 victory over Colorado State in Week 1. The Buffs were impressive wth 596 total yards of offense, including 338 yards through the air and 258 rushing yards. For a full look at Colorado, visit Derek Peterson's opponent preview on the Buffs.